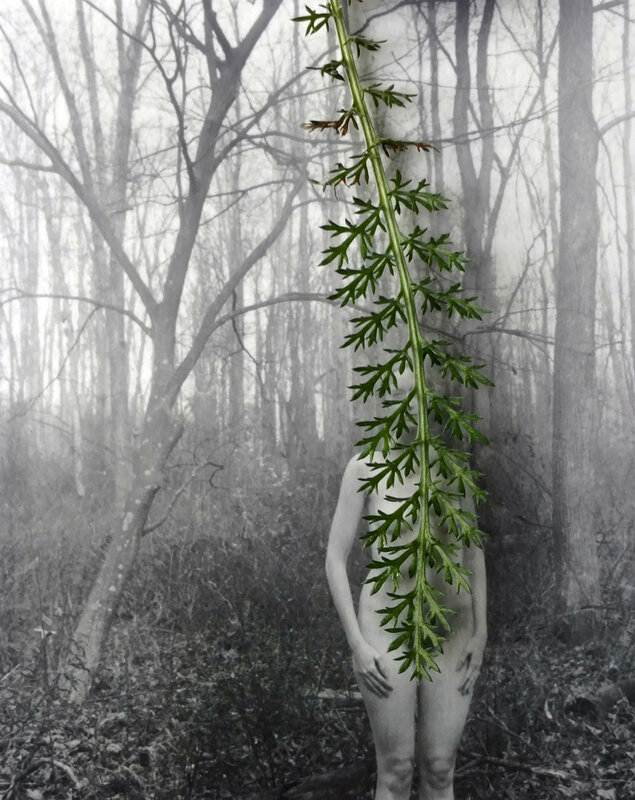 Jordanna Kalman lives and works in NY. Her work explores loneliness, femininity and individuality. She received her MA in photography from the London College of Communication (UK) and her BFA in photography from Purchase College. Jordanna has had her work shown nationally, internationally and online. In addition to her practice she runs the online photography gallery Streit House Space and the Instagram residency program Streit Lab. She works on many different things very slowly all at once. When considered as an object the photograph exists physically in the world, it belongs to someone; it gets held, it has weight, value. I’ve been interested in this concept for some time. It was this interest plus the recurrent use of my images online without my permission that motivated the series Little Romances. I have always made very personal work, my current emotional state and interests get translated directly into my images. In sharing this work online, sometimes it is treated with respect and I am credited, but more often not. 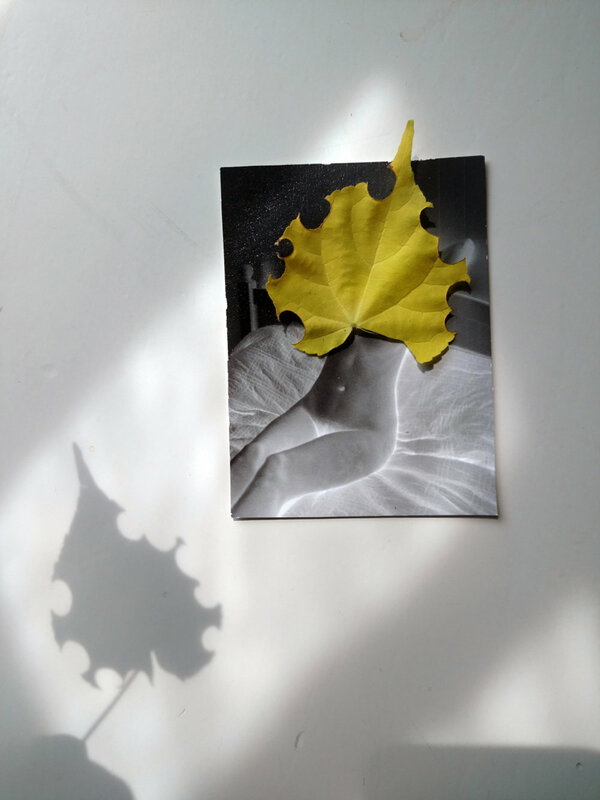 In Little Romances I photograph prints of my photographs and they become a physical object; my object. 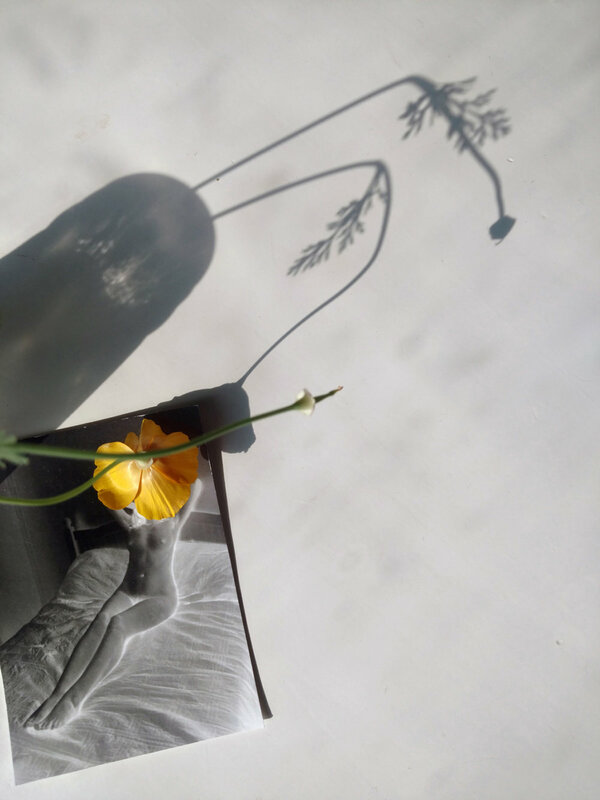 I surround them with elements from my garden or other personal items not to evoke nostalgia or sentimentality but to deepen my physical connection/claim to these images and distance them from the viewer. The object-image becomes obscured, repurposed, diverted, so that its original intent remains safe from viewing and at the same time it lends itself to a new narrative. When and where did Little Romances begin? Little Romances began when I started the seeds for my garden last year. I had moved a table by a window to put the containers on and every day I obsessively watched them sprout and grow. It was around this time I was doing promotional posts for Streit Lab, building on the theme of ‘photographs of photographs.’ I was playing around with the seedlings and prints of my pictures and I found myself becoming infatuated with the changing light, shadows of the plants and how they altered the printed image and I continued on with the work beyond what I was doing for Streit Lab. After a couple months of experimentation I began to find my voice within the images and sat down to figure out why I was making them. Generally I work by instinct, usually in a frenzy, almost never with conscious intent. After the dust settles I begin to decode what I’ve made and from that point I refine and add to the body of work. What I find really challenging in making this series is not getting caught up in the bells and whistles of shadows & sunlight & prisms & the beauty of plants. It’s easy to make something that looks pretty but if there’s no feeling behind it then for me it’s not a successful image. I really love making images but exhibiting them has always been a struggle for me, I find it incredibly stressful. I’m still working on Little Romances but when it’s ready to show as a whole I’d like to find an unconventional space to do it in. Being a full-time mom I get very small increments of time to myself. It’s affected the way I work and also seeped in thematically. I work on a lot of different projects at once because I have no attention span and if I’m not constantly busy I fall asleep. One of these projects is Streit House Space, an online photography gallery that has four shows a year plus an instagram account with guest posts by the photographers who are in the exhibits. I’ve met some incredible people through Streit House and it means a lot to me to be able to be actively supportive of fellow photographers. It’s the third year anniversary of Streit House Space so I invited some of the past participants to take part in the Spring Quarter which is coming out in mid March and there’s an accompanying zine featuring their work as well. For my own work I’ve got a piece in the Filter Photo Context exhibit and a piece in the upcoming MOPLA group show. I was recently featured on the terrific Underexposed Magazine site and Yogurt Magazine and keep an eye out for my upcoming feature in the SPE publication Exposure Magazine. I’m also currently planning my garden for this year, if anyone knows how to keep stray cats from using it as a litter box let me know.